In response to the conviction of abortionist Kermit Gosnell, NARAL has released a horrible illogical and disgraceful statement from their president, Ilyse Hogue. "Justice was served to Kermit Gosnell today and he will pay the price for the atrocities he committed. We hope that the lessons of the trial do not fade with the verdict. Anti-choice politicians, and their unrelenting efforts to deny women access to safe and legal abortion care, will only drive more women to back-alley butchers like Kermit Gosnell. Gosnell wasn't a "back-alley butcher." He was a main street butcher who operated his clinic on main street in Philadelphia and openly advertised his services for decades. In fact, numerous other abortion providers referred women to him. Notice how Hogue never mentions what she considers an atrocity and never mentions the babies Gosnell killed after they were born alive. "From the lack of funding available for low-income women to access abortion services, to the sharp decline of reputable providers in Pennsylvania, to the gross negligence of authorities to enforce the law after complaints were filed against Gosnell, each aspect of this case must be a teachable moment for lawmakers: until we reject the politicization of women's medical care and leave these decisions where they belong — between a woman and her family and her doctor — women will never be safe. The horrifying story of Kermit Gosnell is a peek into the world before Roe v. Wade made legal a woman's right to make her own choices. Here Hogue puts the blame first on no tax dollars for abortion, a supposed decline in reputable providers in Pennsylvania (there was no decline in the city of Philadelphia) and then last on the authorities, who under the instructions of a pro-choice regime bypassed inspections. If the decision to have an abortion at Gosnell's clinic should be between a woman and her doctor it makes no sense to think Gosnell should have been convicted. What an absurdly thoughtless statement. Gosnell isn't a peek into the world before Roe. He's a peek into the world post-Roe where pro-choice politicians prevent abortion clinics from being inspected and leading abortion advocacy organizations don't report the filthy abortion clinics. 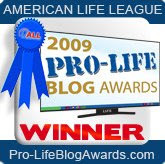 "NARAL Pro-Choice America's annual Who Decides? publication has given Pennsylvania an ‘F' grade precisely because it has passed medically unnecessary laws that restrict access to safe and legal abortion care. It is my sincere hope that the women in Gosnell's clinic did not suffer in vain and that Pennsylvania, and every state, will step up and join us in making the protection of women's ability to get, safe, high quality, and legal abortion care a top priority." Hogue and NARAL get real thoughtless here. They previously blamed Gosnell on negligence of authorities to enforce the law and now they're blaming the unenforced laws for the Gosnell. Which is it? Is it the laws? Or that they weren't enforced? If the laws should be enforced then why did you give Pennsyvlania an "F" for having them?